Join us for a fun-packed weekend, full of hands-on activities for all the family! 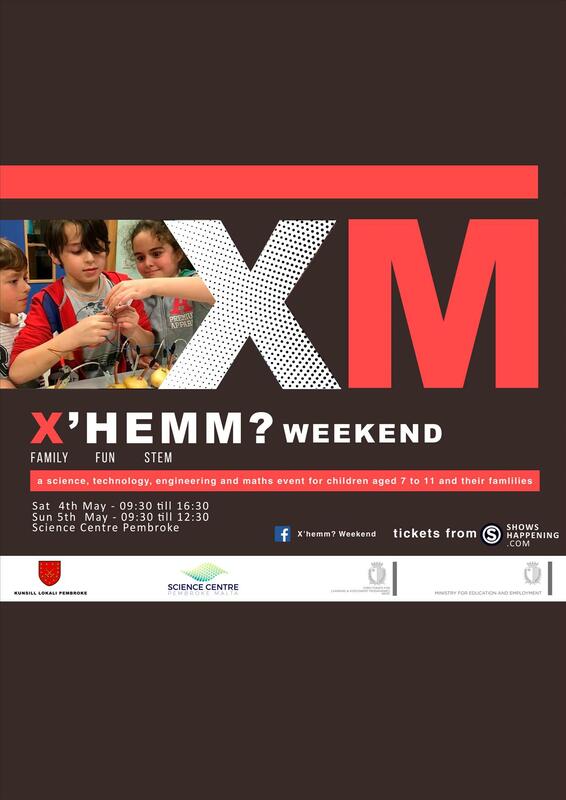 The X'hemM? Weekend targets students in Years 3, 4, 5 and 6 together with their parents/guardians. Students accompanied by at least one adult (parent/guardian/relative) can participate in a number of workshops related to Mathematics and Science. One ticket entitles the holder (student or adult) entrance to one workshop. Kindly note that both student/s and accompanying adult/s, must be in possession of an entrance ticket each (for example, in the case of one child and one accompanying adult, 2 entrance tickets are required for each workshop). Comfortable attire is recommended and don't forget to bring your tickets at the doors!